Genuine OEM Ricoh Ink Cartridge, Black, 1,500 page yield. Closeout Special, Limited supply available. 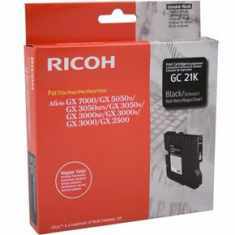 Ricoh part number: Ricoh 405532, GC21K.